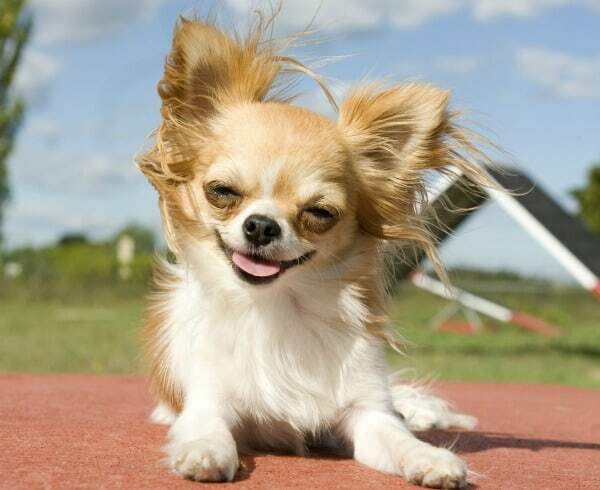 Picture this: your Chihuahua has been in the backyard for the past 10 minutes as you’ve been getting ready for work. 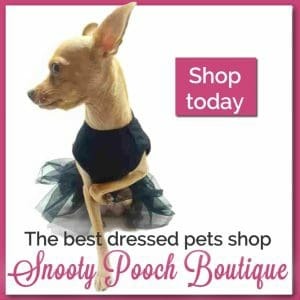 You open the door to call him back inside, but instead of returning, your furry friend decides to ignore you completely – as if you weren’t running late already! 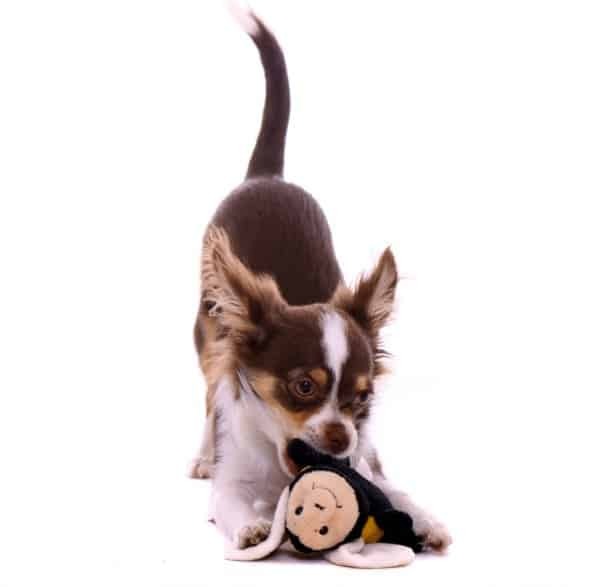 Coming reliably and quickly when called is probably one of the most important skills you can teach your dog; not only does it reduce your own frustration level, but it can help you to avoid confrontations with other dogs or wildlife when you’re out with your Chi. In many cases, a reliable recall can even save a dog’s life, preventing them from running into traffic, for example. Unfortunately, for many of us, training our pups to consistently come back to us each time we call them is difficult to do. 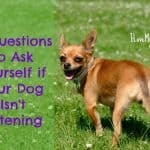 We often end up repeating ourselves multiple times, or may even have to resort to giving chase when our Chi just doesn’t feel like listening; a fun game from our dog’s point of view, yes, but one which only makes the issue worse as our pups learn they don’t really need to listen to us. So why is it so tough to train dogs to come back to us reliably? Well, there can be a number of reasons. First, many dogs tend to develop ‘selective hearing’ when something else is more exciting or rewarding than returning to us. Next, many dog owners make the mistake of repeating a ‘come’ command over and over until their pup finally decides to notice them; this teaches our furry friends that it’s acceptable to ‘tune us out’ until they feel like obeying. The good news is that most dogs, regardless of age, can be successfully trained to consistently come back to their pet parents – it just takes time, practice, patience and consistency. Let’s take a look at how to begin training a great recall with your pint-sized pal. To start with, you’ll want to find out what your dog’s currency is; in other words, what motivates them! It’s best to change up your rewards as you train your pup to keep things fun and unpredictable. Your dog’s favorite motivators may be toys, treats, praise from you, or even a round of fetch with their favorite stuffy. Next, choose a word or short phrase that you’d want your dog to understand as ‘come here to me’, and stick with it. If you’ve already been having problems with a consistent recall, then it’s a good idea to start fresh with a new cue word. Your training sessions should begin in the environment where your Chi has the least amount of distractions –a quiet place in your home works well. 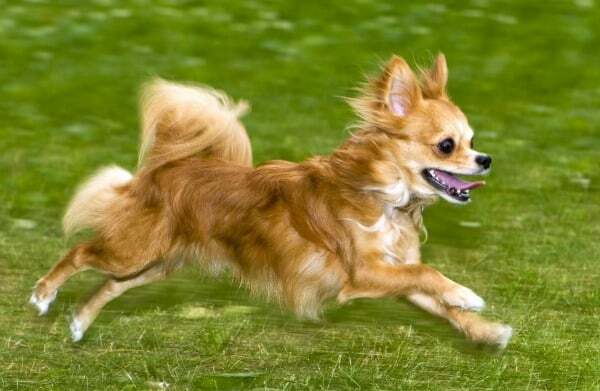 Using an excited tone to engage your dog’s interest, give your recall cue (just once!) and back a short distance away – most dogs will naturally follow. As soon as they come to you, lavish them with praise and give them a high value reward. 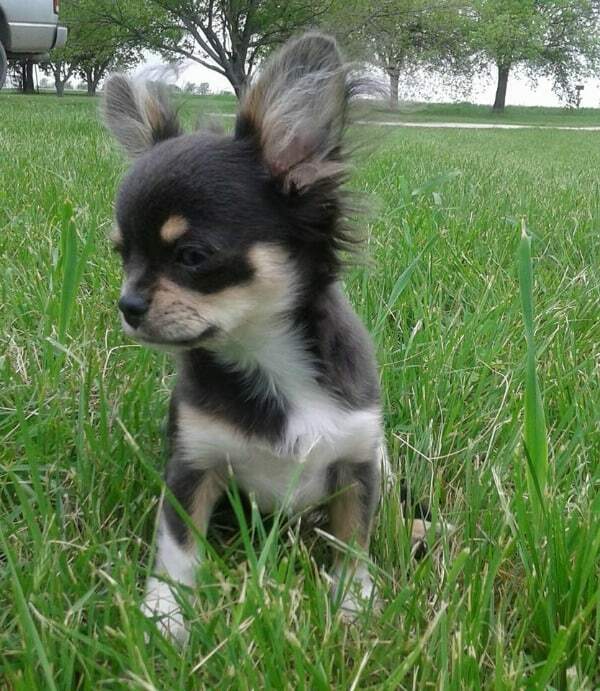 Repeat for the next few minutes until your Chi is consistently coming when you call, but remember to keep training sessions short to hold your dog’s interest; 3 or 4 sessions daily lasting no more than 3-5 minutes is best, especially for puppies! 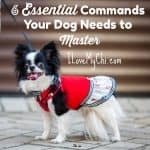 Once your Chi has mastered a consistent recall (coming every time when asked) without distractions, move your recall practice to other areas of the house. 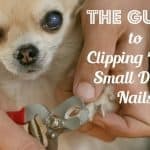 You can also gradually add in distractions like other people, animals, toys or noises, starting with objects that are lower on your pup’s distraction radar and increasing the distraction level over time. Keep your level of enthusiasm high and the treats coming; think of each successful recall as a deposit in your pup’s ‘come back’ bank account– as the ‘balance’ climbs higher, your dog’s motivation to respond to your recall command becomes stronger and stronger. Now for the hard part…taking training outdoors. 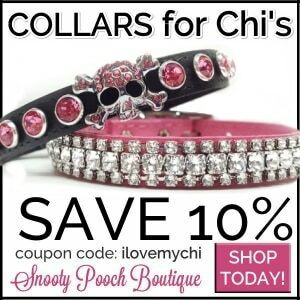 For the first several months, train your Chi on a long leash; it’s not only a safety precaution, but it prevents your dog from running away and initiating a game of ‘can’t catch me!’ if they get distracted. Begin in your backyard, moving from recalling at short distances with no distractions, to longer distances with many different distractions. 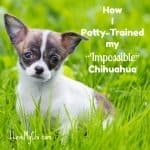 Once your Chi has mastered recall in those situations, you can remove the leash and practice with your pup off-lead; if your dog finds the outdoors particularly distracting, though you might need to change things up a bit! Give 1 treat for a successful recall, then 3 treats the next time, then play with your dog’s favorite toy together for their next reward. It can also help to make training sessions shorter and more frequent, or even to take a few steps backward to training inside for another few weeks. 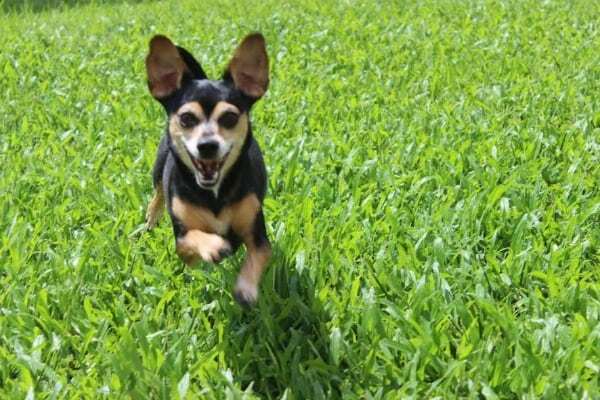 Once your Chi’s recall is solid and consistent in their familiar places, it’s time to switch up your training locations – parks, pet stores, and friend’s houses are great places to start. Why train in other places? 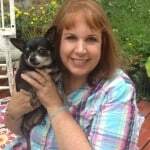 Well, part of teaching a super-reliable recall command is to help your Chi understand that your recall cue means the same thing (to return promptly to you) each and every time, no matter where you are or what’s going on around them. Another great game that can improve your tail-wagging friend’s recall speed is ‘puppy in the middle’. Make a wide circle of 3-4 people, with your dog in the middle. Give everyone some tiny soft treats. 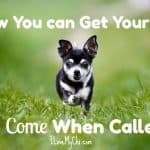 Take turns calling your dog and rewarding them for coming over to the right person; vary the speed of the game and the number of treats to increase the excitement level for your Chi, too. Does this seem like a lot of work? You bet. It can take months for dogs to learn to consistently come back on cue in a variety of situations, or even longer for our furry friends who may have figured out that there were no previous consequences for ignoring us. By continuing to reward and reinforce each success, however, we’re teaching our tiny furry friends an important lesson – that coming back to us is always a good thing! 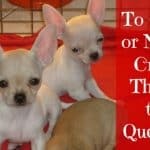 Does your Chihuahua come when you call? Was training them to do so an easy experience? Share with us your experience in the comments.